This Wednesday, President Jean-Claude Juncker and the EU Commission have confirmed that the EU’s flagship nature laws – the Birds and Habitats Directives – will be saved and not rewritten and weakened, ending two years of uncertainty over the laws’ future. They have also called for a plan to better implement and enforce these laws. This is a win for the record half a million people who called on the Commission to save and enforce these laws as part of the Europe-wide NatureAlert campaign. 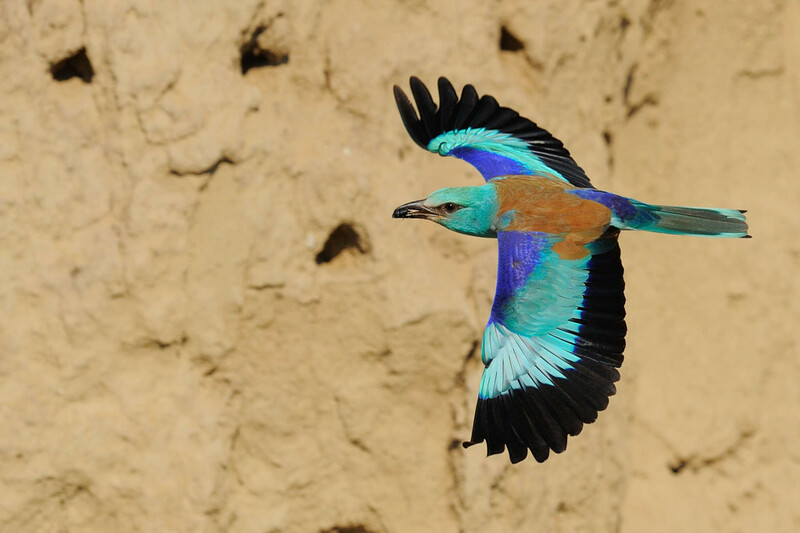 Eurasian roller (Coriacias garrulus) in Danube Delta rewilding area, Romania. This was the final conclusion of the extensive evaluation the Commission has been carrying out since late 2014 in which it has been consulting citizens and stakeholders across all EU Member States. First Vice-President Timmermans, Vice-President Katainen and Commissioner Vella presented the key findings of this evaluation to the College and discussed the next steps. The challenges and problems identified primarily relate to the insufficient management and lack of adequate investment in the Natura 2000 network of protected sites, as well as to local deficiencies such as delays, unnecessary burdens for project permits and lack of adequate different assessments in regulating individual species. — “Our European Commission ‘fitness check’ has recognised that the European Birds and Habitats Directives remain relevant and fit for purpose. They will not be ‘opened’. Our focus will now be on making sure that they are implemented in the most effective and efficient way to realise their full potential for nature, people and the economy.” – sates Karmenu Vella, European Commissioner for the Environment. Natura 2000 is the centerpiece of EU nature and biodiversity policy. The evaluation identified the need to improve the implementation of the Directives and their coherence with broader socio-economic objectives, including other EU policy areas such as energy, agriculture and fisheries. On the basis of this Orientation Debate, the Commission will develop an Action Plan to correct the deficiencies encountered in the implementation of the Birds and Habitats Directives. The Action Plan will contain a series of concrete measures such as holding regular meetings with mayors and other local authorities to assess implementation challenges and help Member States take the necessary corrective action. Moreover, the Plan will design, in partnership with Member States and relevant stakeholders, appropriate implementation guidelines for regional actors, reducing unnecessary burdens and litigation, and incentivising national and regional investment in biodiversity. Before the December 2015 meeting, 20 European conservation organisation, including Rewilding Europe, presented a joint paper called ‘Action for Biodiversity in the EU and the Fitness Check of the Birds and Habitat Directives’, showing that the Birds and Habitat Directives are fit for purpose and there is no case for “merging and modernising” them. The Nature Directives (the Birds and Habitats Directives) are a crucial for achieving the 2020 targets set in the European Biodiversity Strategy 2011-2020. Barely 23% of the species and 16% of their habitats are in a good condition. However it has also been proven that wildlife species can come back, to a large extent because of effective legal protection through the Nature Directives, as shown by the Wildlife Comeback report that was published in 2013. The decision made this week is a major win for Europe’s nature and people and allows for further strengthening of the European conservation agenda.